Wow! This bouquet features the best of the best. 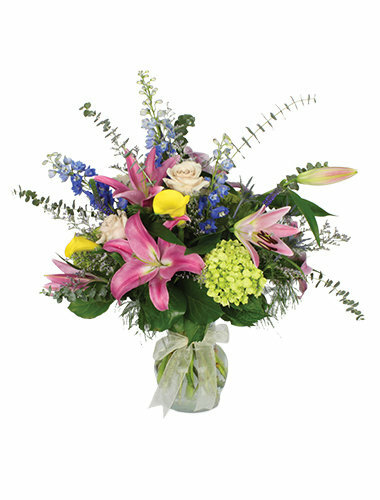 Luxurious hybrid pink lilies, vibrant yellow calla lilies, and hydrangea to name just a few. Your thoughtfulness and affection will be clear for the world to see.